This book is written in an entertaining and witty style, about the most serious of subjects – the promotion of good character in our children. Dr. Berkowitz has had decades of experience teaching school leaders how to implement practices in their schools that foster positive character development and encourage deep learning. Packed with real-life examples from hilarious to profound, Dr. Berkowitz pushes the reader to reflect on what good education really is. His critical examination of some of education’s most well established structures will make any educator cringe – and nod with agreement. Useful and practical for new and veteran teachers alike, this book reflects the wealth of knowledge and experience of the authors. Simultaneously thought-provoking and good common sense, this book demonstrates that education is best within a relationship of respect and positive regard. Within that relationship, rules to guide how individuals should behave with each other are met with understanding, affirmation, and compliance. This book is a quick read, and would be a great way to start off the school year – every school year. It will refresh the motivation to teach, and inspire the prioritization of kindness. Originally written as a legacy to his sons, (as Life’s Greatest Lessons )and now updated with a new title, 20 Gifts of Life, the beloved author and speaker, Hal Urban has once again reminded us that having good character, and being someone who is good to others has a lot to do with happiness and the quality of life. A genuine love for people, and students, fuels every page and Hal’s timeless wisdom speaks to readers of the meaning and purpose of our lives. This book conveys highly complex principles in a very engaging way that compels the reader throughout the book. Highly regarded by her peers, the author has been called a pioneer in the field of Experimental Psychology. Future-mindedness is the process of prospection, anticipating, simulating what may happen in order to gain control and aid decision making. With a look inward at our illusion of control, this book helps the reader to conceptualize the future. 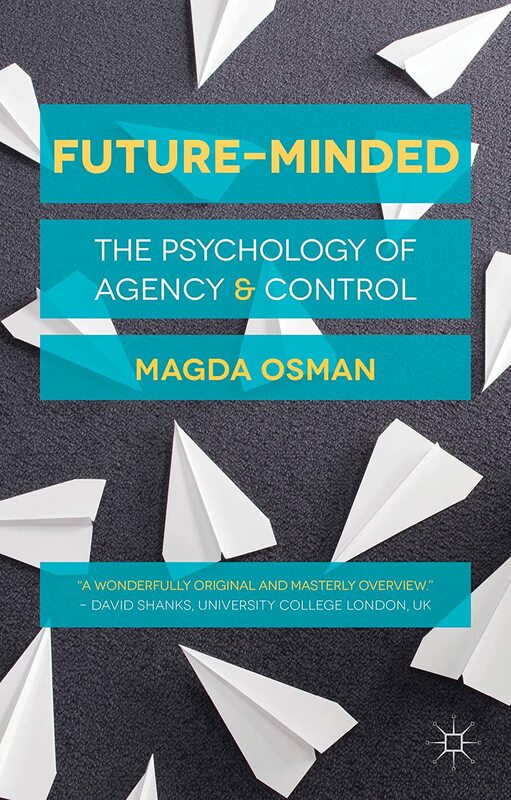 The science of agency and control is increasing in interest and popularity, and this book is a must-have for the students of agency and control, decision making, and consciousness. Christian Smith and his collaborators have synthesized the data from hundreds of in-depth interviews with emerging adults (ages 18-23) and concluded that there is a need for concern and review of the role of young adults in today’s cultural landscape. No longer expected to marry or work as a young adult, these individuals have few expectations from society while still enjoying easy access to the privileges and opportunities of adults. Consequently, this period of life can be fraught with confusion, and poor decisions. Five major problems of this group emerged from this research: 1. Confused moral reasoning; 2. Routine intoxication; 3. Materialism; 4. Regrettable sexual experiences; and 5. Disengagement rom civic and political life. The authors call for a reconsideration of our expectations for this age group, and the role that they play in our society. The result of researching the GED and its ability to predict future success allowed the authors to call for a renewed emphasis on character traits such as perseverance, sociability, curiosity and conscientiousness in school. Even though the achievement test scores of high school graduates who do not enroll in college and GED recipients show little difference, high school graduates surpass GED recipients in earnings, employment, education and health. The authors make the case that it is character traits in the group of high school graduates, not ability that enables them to advance beyond the GED recipients. The authors of this book want the reader to have a reference point from which to examine the dilemmas and decisions of everyday life. They point to the wisdom of the ancient Greek writers who, for centuries, have called and inspired us to our highest selves in the pursuit of ideals. Using our experiences, empathy and judgment allows us to navigate day to day challenges with an underlying theoretical foundation. The authors take on decisions in the fields of health care and education, taking a humane approach rather than theoretical. The authors consider how mandatory sentencing has removed the element of judgment from a judge’s position, citing a heartbreaking example. Repeatedly, by example, they stress the necessity of a humane approach, without politics, to the issues of how we live and interact with each other.